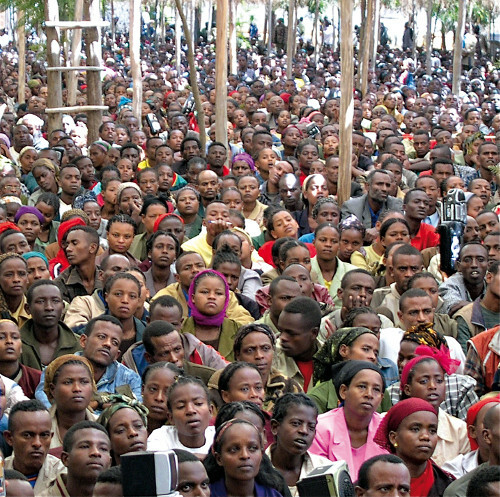 The Wolaittas, consisting of about 1,760,000 people (2010), are natives of Ethiopia who have their own language, culture, tradition, political heritage, and kingdom. They are divided into two tribes that represent about 200 clans! 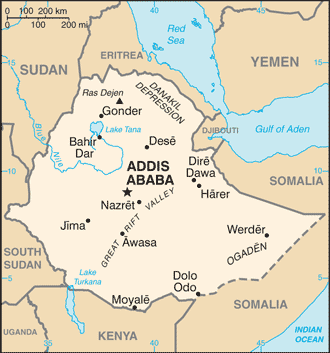 They live in the south-western region of Ethiopia, 400 kilometers away from Addis Ababa, the capital city. They survive thanks to cattle rearing and farming, and they still use traditional hand tools. Their cultivable land being degraded through natural and human factors, 45% of the Wolaittas suffer from malnutrition and live below the poverty line. The annual average income per inhabitant is 98 US dollars. At the end of the 19th century, Ethiopia annexed the Wolaitta and imposed the Orthodox religion, which is now strongly influenced by animism. Today, the Wolaittas are open to the Gospel, but they need to fight against the invasion of the drifts of a worldly mind-set on one hand, and of Islam on the other hand. About ten percent of the population is of evangelical protestant confession. 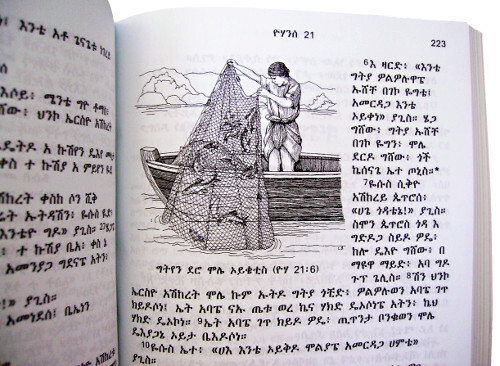 Portions of the Bible have been translated since 1934 and the whole New Testament in Amharic writing was published in 1981. 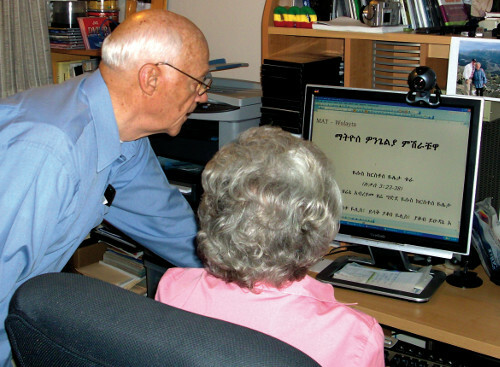 With the Wolaitta churches called “Word of Life”, Dr Bruce and Mrs Betty Adams, SIM missionaries, have analyzed and created an alphabetical system using Ethiopic (or Amharic) characters “ማትዮሰ“, in 1973, and also Latin ones, “a, b, c”, in the year 1995. Together with a team of three Wolaitta translators, they have translated and formatted two New Testaments, one in Ethiopic characters (1981), the other in Latin characters (1997). Prior to Bruce and Betty’s arrival, the Wolaitta language did not have a written form! The language analysis and the creation of words using 175 letters of the Ethiopic script have taken years of hard work! In view of the results, the Ethiopian government, supporting literacy promotion among the Wolaittas, stopped using the Amharic language in the schools and chose to employ Wolaitta in Latin characters, which are far simpler and international. The first edition of the New Testament ran out in 2007! The translation team took advantage of the opportunity to revise the text following a new exegesis and to add cross references and illustrations. In 2010, MiDi Bible had the privilege to publish this new edition in both alphabets. In Wolaitta, there are 1,050 churches “Word of Life” and hundreds of thousands of believers who have now access to the New Testament in their everyday language.